Addition of two matrices can be carried if and only if both the matrices are in the same order. 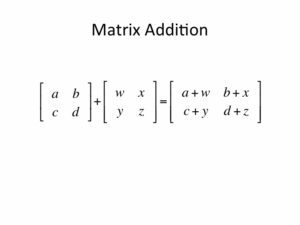 In matrix addition, each term of one matrix is added to the other matrix’s term, at the same location, i.e. the term at first row first column of Matrix 1 will be added to the term at first row first column of Matrix 2 and so on. A pictorial example is given below. 1) If both matrices are of the same size then only we can add the matrices. 2) Use the double dimensional array to store the matrix elements. 3) Read row number,column number and initialize the double dimensional arrays mat1,mat2,res with same row number,column number. 4) Store the first matrix elements into the two-dimensional array mat1 using two for loops. i indicates row number, j indicates column index.Similarly matrix 2 elements in to mat2. mat1[i][j] + mat2[i][j] and store it in to the matrix res at res[i][j] . 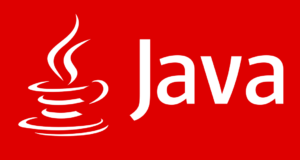 insert the value at mat1[i][j] and increases the j value. add mat1[i][j] + mat2[i][j] and insert the result at res[i][j]. 3) Print res[i][j] using two for loops then we will get the addition of two matrices. mat1[i][j] + mat2[i][j] and insert the result in to res[i][j]. Increase the j value. checks the condition j<col. Increase the i value. Then checks the condition j<row. 2) Print res then we will get the addition of two matrices.